We're always on the move. Here's an update on the latest news about DrayNow. The Intermodal trucking industry’s first technology platform for freight booking and tracking gains momentum in the hot shipping & logistics sector. Philadelphia, PA. – (BusinessWire) – DrayNow, the first real-time marketplace transforming the way Intermodal shipping brokers connect with available motor carriers, has completed its Series A funding of $5 million, led by Comcast Ventures and joined by Osage Venture Partners. "DrayNow is reinventing the way Intermodal freight moves over the critical first and last miles with a robust, tech-enabled marketplace." The investment by Comcast Ventures and Osage Venture Partners is the latest example of the growing interest among investors and industry executives to tap into technology to make intermodal transportation more efficient. Read Transport Topics full coverage of DrayNow here. "[Truckers] can't be forgotten any more"
"Most of the truckers are small. They have trouble finding freight in their local markets, they don't have the financial capability to invest in [expensive enterprise software]. There's fewer truckers every year. They can't be forgotten anymore," said Albert. "But unless we can give them the tools to help their business, we will continue this downward spiral. If truckers can find local freight at their fingertips, they can get paid, and they can be home every night." "Mike Albert says DrayNow's deep expertise in intermodal and drayage makes it different. Beyond the app and software, Albert says the focus will be on expanding customer service headcount so shippers and carriers can pick up a phone to sort out dispatch or billing problems." "..the DrayNow app and software is not trying to disintermediate brokers, but give them a better tool to manage a highly regional and fragmented business....Carriers should likewise benefit from one app and marketplace for finding loads rather than juggling in-house load matching and booking apps from different brokers and asset-light logistics firms." 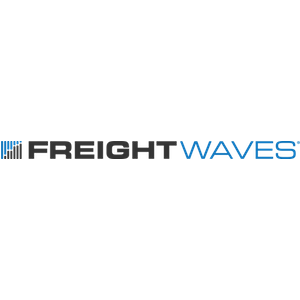 Read the full FreightWaves story here. “We spent the past 6 months asking our customers and users what they need and then refining our platform to deliver total visibility, greater operational efficiency and other tools to help improve overall quality of life,” Albert said. Read the full Technical.ly Philly article here. Copyright © 2019 DrayNow, Inc.